. 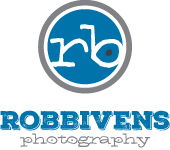 : ROB BIVENS PHOTOGRAPHY - the SESSIONS :. - Portrait sessions consisting of babies, kids, families, seniors, and engagements. - Photographers time and talent during the shoot. - Creative editing of your images in the digital darkroom. - Up to five people. - $25 is added for each additional individual. - Clothing changes are allowed. * A fee for time and travel may be added depending on the location. - Head shots for professionals. - Photographers time and talent. - Up to 5 digital images. Weddings: Please contact me for pricing. Sessions are best scheduled in the early morning or late afternoon when the lighting is most complimentary. However, other arrangements can be made for clients with younger children. Payments are due in full at the time you book your session. Payable by cash, check, money order, or credit card using Paypal. Please let me know asap if you need to reschedule. Newborns should be photographed within the first two weeks of life. After that, it is suggested to wait until babies are between 5-6 months of age before scheduling a photo session. This is usually when babies are sitting up on their own, smiling, and are more interactive for their photo session. Newborns - All natural, diapers, and onsies are the best option. Soft blankies and fuzzy hats add a nice touch to the photo session. I do have a few options for you, but if you would like to use your own, that would be great too. Be sure to rub baby lotion on their skin to help with the dry, flaky skin that newborns usually have the first couple of weeks. Babies - Dress your baby in clothes that will fit them at the time of the shoot and avoid buying clothes that they are intended to grow into. Girls - It's got to be fun and funky. Unmatching patterns, bright colors, stylish hats, leg warmers, cowboy boots with sundresses are a few suggestions. Boys - Comfy and cool. Jeans with layered t-shirts, beanies, polo shirts, blazers with untucked shirts underneath, trendy t-shirts, and vans are a few suggestions. Props - Using props and accessories is a good way to get different looks out of a single outfit. Think about things that characterize their personality, such as items from their hobbies, interests, and sports. It is recommended families wear coordinated clothing, but not matching clothes. Find an outfit for one member of the family, and then build from there using different clothes, but using complimentary colors or within the same color scheme. For newborn sessions, I would suggest the comfort of your home. For families, kids and seniors, something out of the ordinary is always good. I can suggest a few ideas, or I'm open to any suggestions you might have. What suggestions do you have to make our session run smoothly? Everyone should be well-fed, well-rested, and not sick on the day of their shoot. If not, then I would prefer that we reschedule. To try and have fun!